Born in New York City and raised in Puerto Rico, Raul Otero was exposed to the arts at a very young age. At the age of 15 he started assisting local top makeup artist for fashion shows and photoshoots. Raul's attraction to simplicity stems from what he calls "the natural beauty that comes from within". Raul is able to create a range of looks from the most clean and fresh to sultry and dramatic. At the age of 20 Raul moved back to his native city New York in order to pursue his career as a makeup artist. 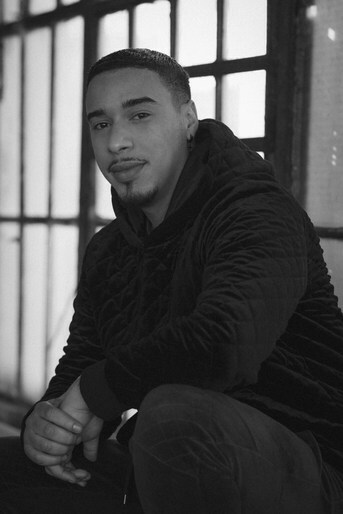 Since moving to New York Raul has had the pleasure of being first assistant and mentored by the renowned Yadim Carranza, allowing him the opportunity to work hands on with some of the worlds most iconic and influential people in the fashion industry. He now is based in New York City but splits his time between LA, Miami and Europe. His professional routine is quite varied. He may be found working on anything from fashion editorials to red carpet events , and fashion shows to commercial and video sets. Ace Amir, Alessio Boni, Billy Kidd, Charlotte Wales, Dennis Golonka, Ed Maximus, Gregory Harris, James Naylor, Joseph Paradiso and Yuki, Juan Kr, Lena Melnik, Lee O'Connor, Max Papendieck, Michael Williams, Nacer Paul, Nathaniel Goldberg, Sebastian Faena, Shariff Hamza, Timothy Rosado. Binx Walton, Camille Potter, Camila Cabello, Caroline Byron, Carla Quevedo, Crystal Renn, Hannah Ferguson, Kira Kosarin, Kodi Smit McPhee, Lais Ribeiro, Mia Kang, Maluca Mala, Mason Hosker, Naomi Campbell, Shawn Mendes, Staci Snider.